Prolific self-publishing comic book writer and convention queen Natalie Ngo joins me for a lively, hilarious chat about running a creative business, how to structure your business with the aim of actually making money, the ins and outs of conventions, and the ins and outs (so to speak) of modern dating. Follow Natalie on the socials @goldenassgwen & @ngobrainer, and follow theadventuresofgoldenass.com. Subscribe to Storycraft on iTunes, Stitcher, Spotify or wherever you listen, and please rate & review kindly before sharing. Writer, Retailer (owner, the Comic Bug), and all around one of my favorite people in comics, Mike Wellman joins me to chat about the ins and outs of being in our community. We talk about the realities of life in comics, or simply life AND comics, community, cons, childhood inspiration and much more! Follow Mike Wellman on Facebook, @atomicbasement1, and visit the Comic Bug in Manhattan Beach or Culver City. Subscribe to Storycraft on iTunes, Stitcher, Spotify or wherever you listen, and please rate & review kindly before sharing with your community. TJ Storm, Martial Arts Hall of Famer, Performance Capture Pioneer, and all around action film guy, sat down with me to talk about his path into the movies, fighting vs filming, and working with great directors. We also nerd out to a hilarious degree over kung fu, and kung fu movies. This episode is very close to my heart, just for that, and its a terrifically fun time! Follow TJ @stormzeye on instagram, @tjstorm01 on twitter and on his school's site, mindseyetribe.com. Longtime pal and sometime co-host Mike Dubisch returns after a long stretch to reveal his quarterly art & fiction magazine "Forbidden Futures", full of otherworldly art and fiction, in a lively and idea packed episode. We also chat about our comics obsession, whether or not it is responsible, and whether or not we care if it's responsible. Plus, we get really practical about "getting hired" in comics. Subscribe to Storycraft on iTunes, Stitcher, Spotify or wherever you listen, and please rate & review kindly before sharing with your friends! Illustrator and Painter Alexis Lopez joins me to promote her gallery show in Phoenix, "Hustle & Flow", and to generally break down the life of making art. We discuss community, voice, splitting focus and allowing a project to arise from playing with ideas on the side. Please follow Alexis Lopez on Instagram @heavymetalalo, as well as on esty, and join us for the opening of her show at Megaphone PHX on August 31st. Subscribe to Storycraft on iTunes, Stitcher, Spotify or wherever you listen, and please rate & review kindly before sharing with your people! Musician, actor, all around maker, Malek Houlihan & I talk pitch meeting hacks, personal hacks and global hacks. This is a terrifically insightful, deeply practical, powerful episode, for everyone who makes anything, or wants to make anything out of their lives. Malek accompanies the podcast with his acoustic guitar to give a deceptively laid back ambience to one of the most incisively philosophical episodes I've ever done. I learned something big, and so may you. Buckle up! Follow Malek Houlihan on Facebook, @MalekHoulihan on twitter & @malek_houlihan on Instagram. Seamus Smith & I tackle Steven Spielberg's "virtually" epic new film, complete with (mostly spoiler free) book to screen comparisons. After weeks of mixed headlines and a bravura box office take, we look at Ready Player One as filmmakers, artists, and fans of the book by Ernest Cline. We talk about the way the IP is handled, the deft script by Zak Penn & Cline, the terrific performances by the incredible cast, dig into the strong social commentary, and Spielberg as a filmmaker. What I learned making stories this week was further wisdom from Seth Godin, for ask the doc I claim writer's block is fake, and I share what I'm reading. Hear the tale of my birth, 40 years before the date of this episode, then hear me gush about Seth Godin, how I love his new podcast Akimbo, and some of the great thoughts from his first episode that apply directly to storycraft as a show AND discipline. Also, I talk about a couple things I'm reading, one by Andy Diggle & Victor Ibanez, the other by Larry Niven & Jerry Pournelle. Plus, "Ask the Doc!" 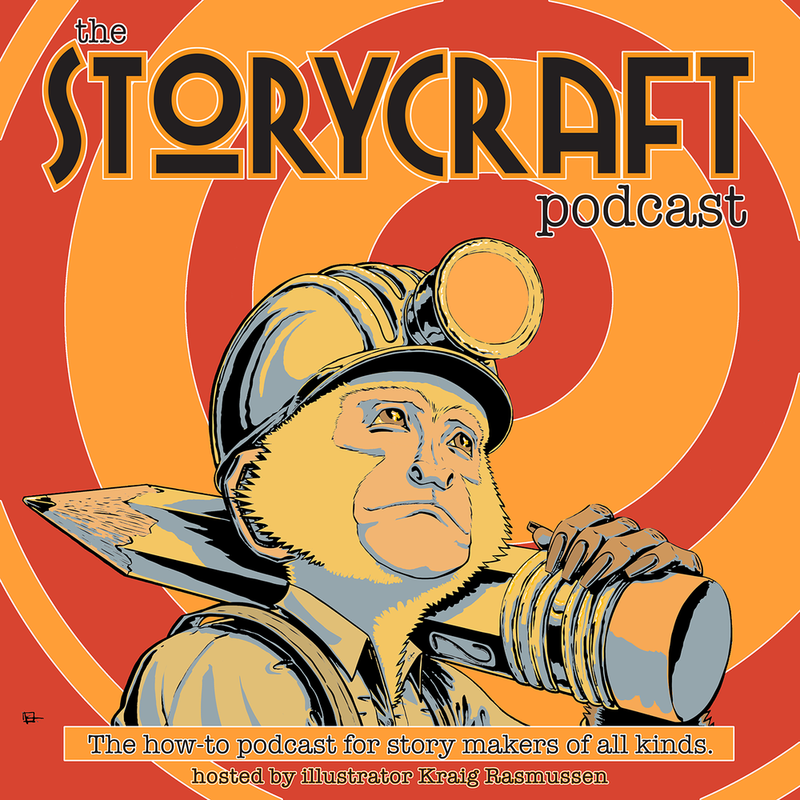 Send me your queries on story making, your thought process, or particular conundrum: @storycraftpod, @kraigcomx, Storycraft on Facebook and kraig@monkeygong.com. Let's talk it out! Also, please follow all of the above, and subscribe on your favorite podcast platform. Nice reviews on iTunes/Apple Podcasts will result in fun shout outs on air! Mike and I talk about a couple of hidden pitfalls in art freelance that affect everything in our lives, and how to get out of them, while (maybe) also making a little extra cash. This is a sometimes rowdy debate about wrangling your time management, and taking back some of your agency with clients, to ensure you get paid for all the work you do, not just what you turn in. Please subscribe to this podcast on iTunes, Stitcher, Spotify, or wherever you listen. Also, please leave a 5 star rating on iTunes for a shout out thanks on the show. Follow the show on twitter @storycraftpod, and follow me on twitter & instagram @kraigcomx. DJ Roshay, Seamus Smith and I discuss the first Marvel film of 2018, Black Panther directed by Ryan Coogler. We break down the vast social commentary, high level costume design, brilliantly lived in environments, and all the stellar characters played by a terrific cast. Also, ANNOUNCEMENT of the final delivery of the Solar Team vinyl from DJ Roshay. We have them in our hot hands! Available now from monkeygong.com/shop. $30 for the vinyl alone, $40 with a sketch. Please subscribe, rate, review and share this show on your favorite podcast app, or on all of them! Follow Storycraft on twitter @storycraftpod. DJ Roshay is as insightful and gifted with films as he is with music, and his YouTube channel Roshay Reviews has all the proof. In the second half of our previous conversation, we shift gears into film talk, discussing Wonder Woman as political device, race and gender in film and art, and how to have the most productive exchange about issues. We also cover lots of films from 2016 and 2017, talk favorite filmmakers, and explore hidden elements of cinema. It's the film nerdiest! Watch Roshay Reviews on YouTube, listen to DJ Roshay's music on spotify, (or preferably buy it to support him), and follow him on twitter @DJRoshay. Please follow this show on twitter @storycraftpod, subscribe, rate & review on Spotify, Apple podcasts, Stitcher, or wherever you pod! Comedian & Filmmaker Graham Elwood (First Nations Comedy Experience, Comedy Film Nerds, Earbuds, Laffghanistan) talks about his blended life experience as comic and filmmaker, political vigilante and podcaster, revealing levels to an already mulit-layered persona that I did not expect. Between laughs, we engage in a charged discussion of corporate profit motives vs. identity politics, the intentional media distraction, and regular injustices we've grown blind to. 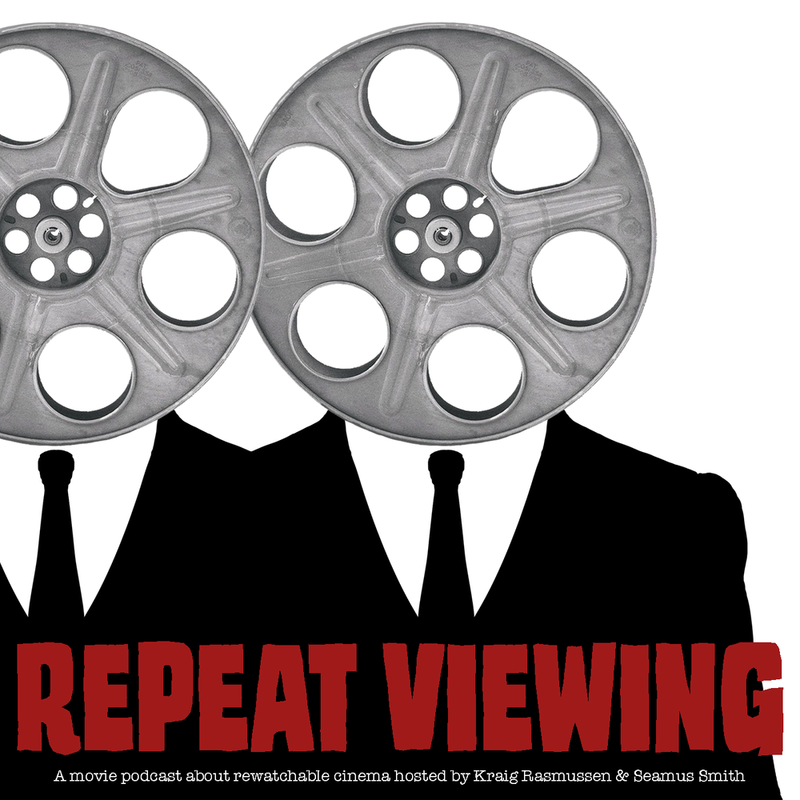 But we also talk about 70s cinema, the rigors of making a documentary, his amazing doc Earbuds, the LA Podcast Festival, and infusing creative work with meaning. Filmmaker Dito Montiel (The Clapper, Man Down, A Guide to Recognizing Your Saints) has quickly created a masterful library of powerful, tense, thought provoking films, and he's just getting started. He shares the keys to that depth of craft in a lively talk about his new film The Clapper (out now! ), New York, family dynamics, personal history, and just going for it. He also reveals a few intense stories from being on set (and is ridiculously humble about the great performances he gets from actors). Additionally, we cover his long collaboration with his talented editor (and previous guest) Jake Pushinsky, and his love for Al Pacino-- "Kleinfeld!!" Follow Dito Montiel online @ditomontiel, and find his films wherever you watch! Follow this podcast on twitter @storycraftpod, and subscribe on Spotify or wherever you listen to podcasts. You have definitely watched stuntman Rene Mousseaux work, even though you didn't know it, from his role as Lt. Mur on Supergirl, to being Stunt Coordinator of the original "Old-Spice Guy", now he's making his own films. We peal apart the film business, talking micro budget filmmaking, owning your work to take control of your career (and life), and using your resources to work smarter. We discuss a handful of his numerous credits, how he went from making underwater documentaries for National Geographic to stuntwork, and plenty of anecdotes from his times on set with Steven Segal, Clint Eastwood and more. It's film nerdy, but hyper practical and stuffed with ideas about how to manage your creative work in the real world. Check out clips from Rene Mousseux's work at rpmstunts.com, and have your mind blown by looking up his credits on IMDb. Follow this podcast on twitter @storycraftpod, and please subscribe and review on Spotify, Apple podcasts, Stitcher, or wherever you get your pods! Creator of the recently renewed X-men show the Gifted, as well as Burn Notice, The Good Guys, and APB, Matt Nix, shares incredible insights into the craft and business of writing. We discuss his approach to creating a show, building characters, structuring a season or more, and pitching concepts in Hollywood. Without a doubt, this is among the most engaging and informative episodes of this show. Fans of the Gifted, the X-men, Burn Notice and more, will get everything they want, on top of all the story craft talk! Watch the Gifted weekly on Fox, or stream the whole thing on Hulu. Follow Matt Nix on Facebook, or on twitter @MattNixTV, and engage him with nice things about his great show! Follow this podcast on twitter @storycraftpod.